Get real-time arrival information based on GPS technology for the bus AND the streetcar with our free METROtrack mobile app. Forgot your coat and want to wait for your bus indoors as long as possible? Thinking about dessert at your favorite restaurant but don’t want to miss the next streetcar? Perfectly timed solutions are possible with palm-of-your-hand technology! METROtrack provides real-time arrival information for the Rock Region METRO public transit system buses and streetcars. Use the app to mark favorite stops and routes, set reminders, get alerts, plan your trip and access general information. Rock Region METRO uses Google Transit for our Trip Planner. 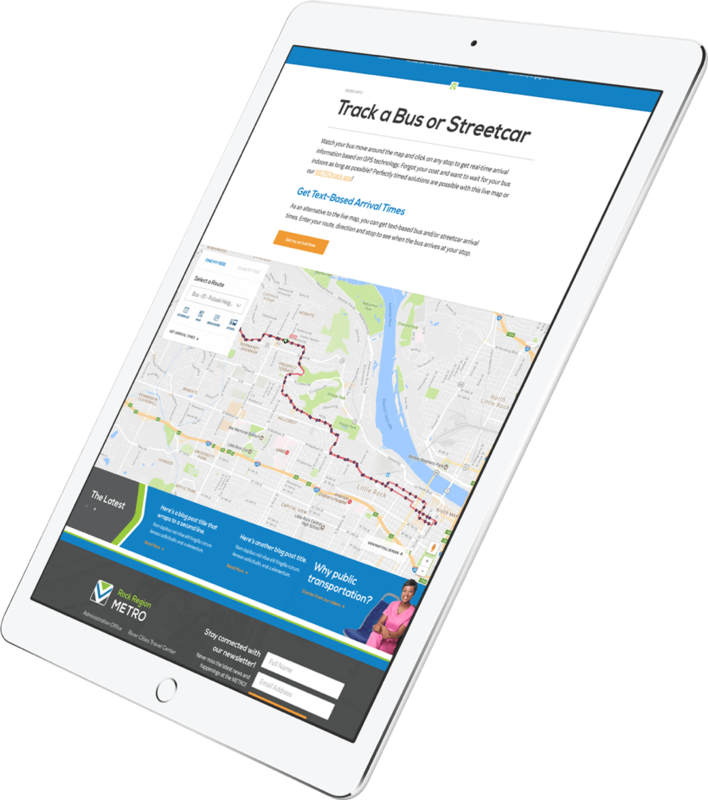 Use the planner to select the route that’s best for you, then pair the routing information with our mobile apps, texting system or live map so you’re always prepared for real-world conditions. Token Transit provides Rock Region METRO riders with an easy, quick and convenient way to buy multi-ride and multi-day bus and streetcar passes via a smartphone, anytime, anywhere. Simply purchase, activate and ride!